Udyr is in dire need of a total visual update. In fact, after the now-confirmed Mordekaiser update launches, Udyr may need one more than any other champion in League of Legends. Why? Well, you’ve seen him, right? The dude waddles around, has weird little flame daggers coming out of his hands, and the animal icons that flash above his head with each stance look like a child drew them with crayon. He’s in a rough spot. Unfortunately, there’s no word from Riot that there’s an update coming anytime soon, but that didn’t stop one player for dreaming up an update themselves. Artist Brahim Bensehoul posted their own rendition of a newly-redesigned Udyr on their ArtStation profile, and to us, it’s perfect. See it for yourself. Although we only think a visual update is necessary for the old monk—or whatever he is—Bensehoul took that a step further and created an entire update for Udyr’s visuals, gameplay, and even lore. In this rendition of Udyr, his powers come from a slain demon whose skull he now wears. By looking through the big glowing eye in the middle of the skull, Udyr is able to channel the demon’s shapeshifting powers and take on more forms, each with different in-game attributes and strengths. If you’re wondering why this fan creation is way more in-depth than most fan skin creations, that’s because this isn’t Bensehoul’s first rodeo. 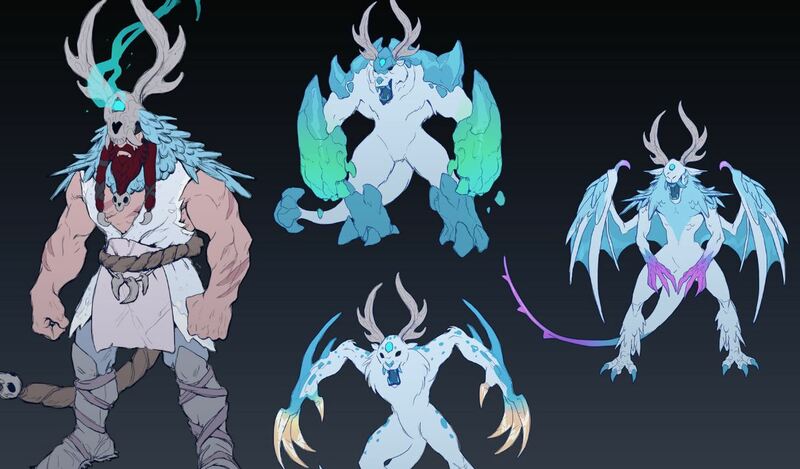 They even worked on some actual skins with Riot, including Northern Front Swain (post-update) and Butcher Urgot (post-update), according to their Twitter. If you’d like to see more of Bensehoul’s work, be sure to visit their ArtStation profile. If you’re a fan of K/DA, you’ll want to check it out anyway, because they did a mean rendition of a K/DA boyband featuring Zed, Shen, Ezreal, Kayn, and even Tahm Kench.